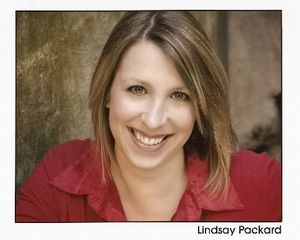 Miss Lindsay comes to Broadway Bound after 10 years of working as an actress/singer/dancer in NYC. She holds a BFA in Musical Theatre from SUNY Fredonia, and a MA in Educational Theatre from New York University. She has worked in theaters all over this country as a member of regional theatre productions, national touring companies, and Off-Broadway shows! Some of her favorites include: Fanny Brice in "Funny Girl" (Naples Theatre, FL), Shirley in "The Producers" (Westchester Broadway Theatre and Kansas City Startlight), Alice in "The Secret Garden" (Theatre By the Sea, RI)and Diana in "Next to Normal" (SLOC). She has also performed as a vocal soloist in concerts with the Buffalo Philharmonic Orchestra and the Detroit Symphony Orchestra. Since the summer of 1999 Miss Lindsay has been teaching Musical Theatre workshops to students grades k-12 in Rochester and now Albany, NY. Her model is also being used by fellow teachers in Wisconsin, Michigan, Illinois, and Brooklyn, NY! Miss Caley is currently in school attending SCCC for music and theater, and has attended Skidmore College for dance. She has been dancing for many years and has been in 30+ productions around the area. Miss Caley served as has choreographer for local musicals (high school, college, and community theatre) and has created dances that have won first place at StarPower and Elite Dance Competitions. When not teaching dance in Capital District studios, Miss Caley can be found onstage herself. Some of her recent credits include: Be More Chill ( dance captain), In the Heights (dance captain), Thoroughly Modern Millie, Hairspray, The Addams Family, Pippin, Seussical, and Legally Blonde! Miss Nina is the current voice instructor at Broadway Bound Performing Arts Academy. Graduated from the College of Saint Rose with a Bachelors in Music Industry with a concentration in voice, she received training in both classical and contemporary styles singing. She has experience in performance, songwriting, music production and recording. As a performer she enjoys singing blues, contemporary jazz, show tunes and alternative pop. 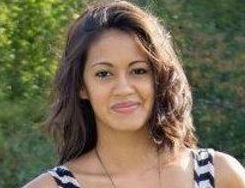 Along with being a private instructor Nina also works with Live Sound Inc. in live musical production.